During his tour of our San Clemente production facility, Congressman had a first hand look at the day-to-day operations of one of the largest companies that call San Clemente home. Many of the Highway and Road Safety Bills he sponsored and voted on have a direct impact on the products TrafFix Devices offers. Our roads are safer thanks to a number of Highway and Road Safety laws, which outline how traffic safety products are designed, manufactured, and implemented; many of which were supported by Congressman Calvert. 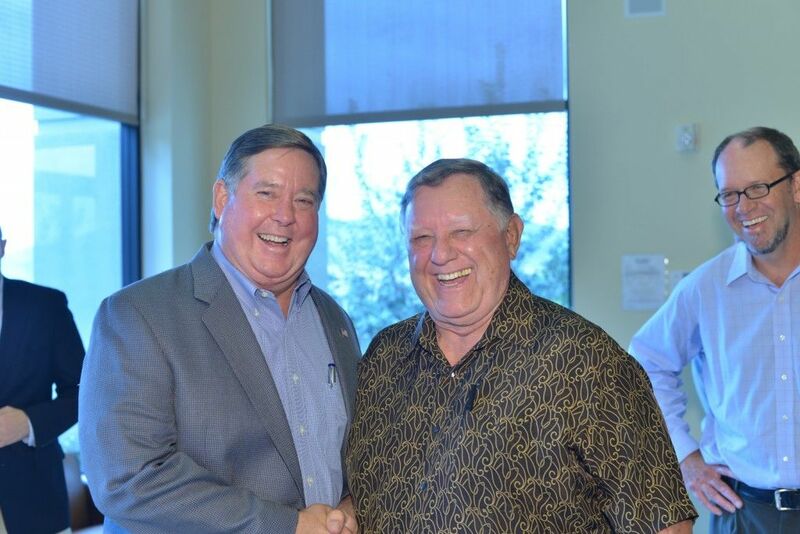 Everyone at TrafFix Devices would like to thank Congressman Calvert for everything he has done for our community and our State. Come 2013, Congressman Calvert will no longer be our Elected Representative as California will be redrawing its Congressional Districts. Our hope is that we can build a strong relationship with our new Representative, just like our long relationship with Congressman Calvert.